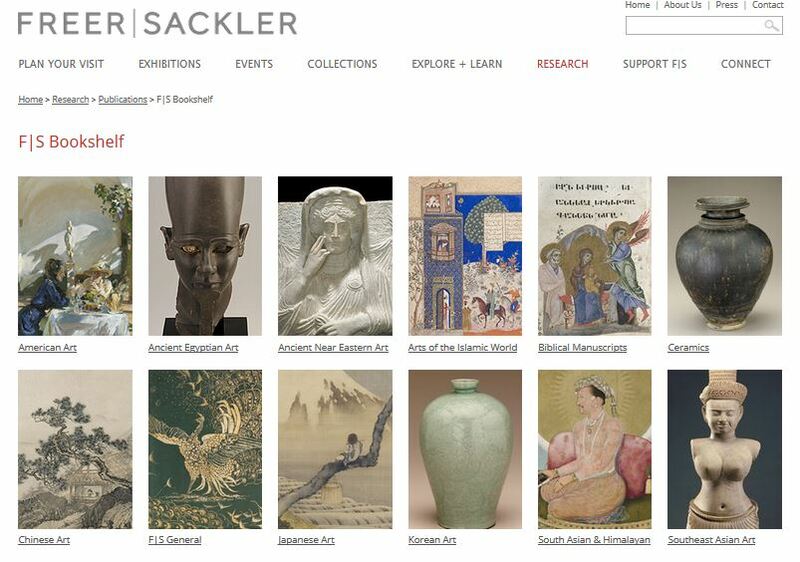 Discover the wealth of information contained in the Freer and Sackler Galleries’ digitized publications. Spanning from 1753 to the present, these catalogues, journals, and manuscripts contain expert insights on a full spectrum of Asian art, culture, and history, as well as on American art and the history of the Galleries themselves. Thanks to a digitization effort made possible with help from Smithsonian Libraries and the Internet Archive, the Freer/Sackler Galleries can offer many of their out-of-print publications free of charge to viewers worldwide. Flip through these pages online, or download files to your digital library for later reading: asia.si.edu/research/bookshelf.asp.